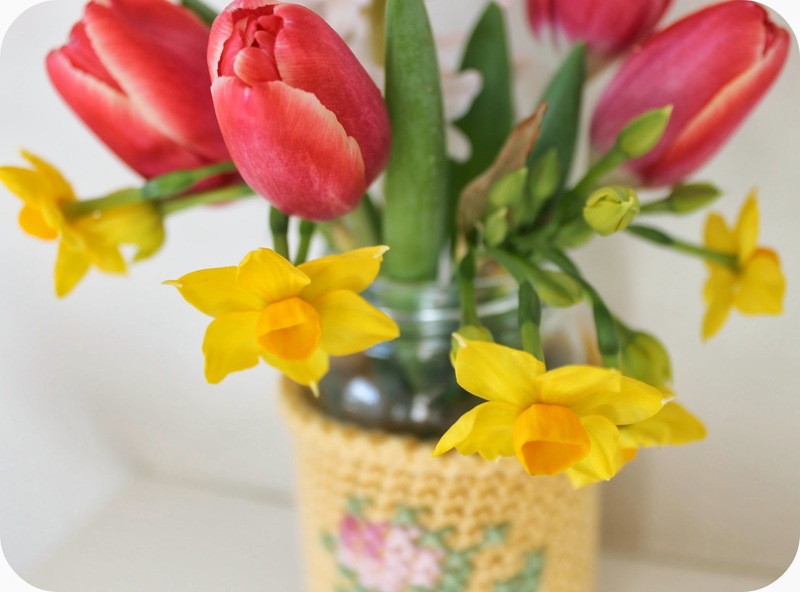 Such a lovely post for a cold grey day! Just what I needed. 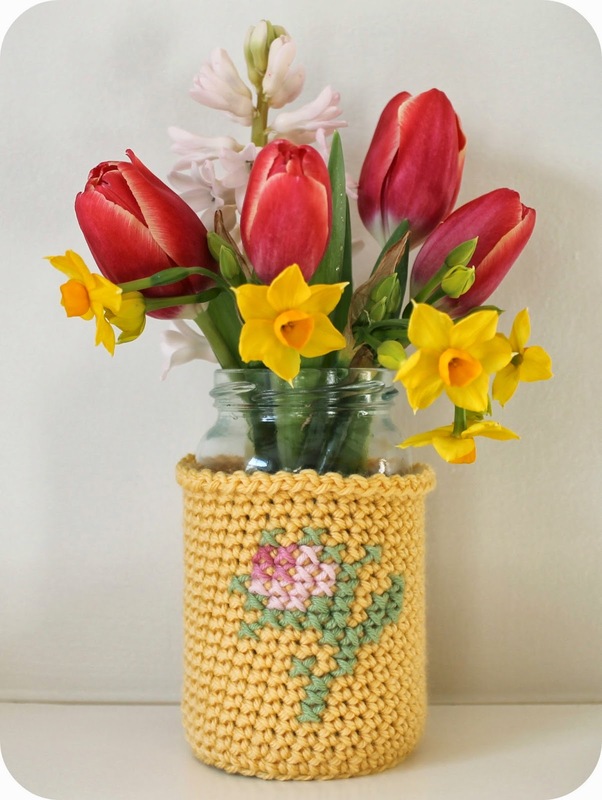 Beautiful stitching and gorgeous sun shiny flowers! Really pretty. I'm making a crochet cushion cover that I'm hoping to cross stitch on. I've never tried it before - we shall see how it goes! The detail makes it such a lovely piece. Wow, this is FABULOUS Heather I love it and the beautiful photos you have taken. Pretty, pretty, pretty ! Yellow is inside sunshine, don't you think ? Gorgeous! I'm currently working on a mobile phone case, which is crocheted with a cross-stitch pattern on the back. 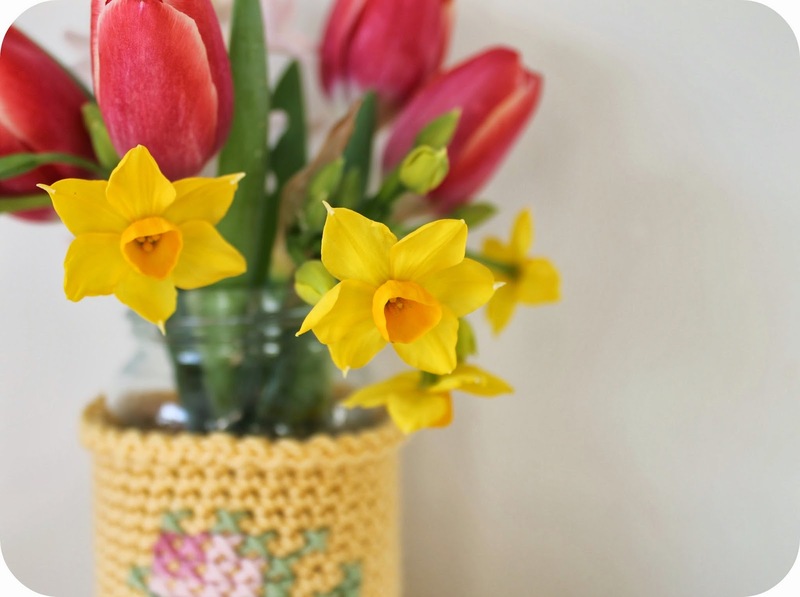 I think cross-stitch on crochet is so effective! This is lovely and so cheerful. Ooh, so pretty Heather!...Beautiful crochet and stitching...some of my favourite colours too....gorgeously sun shiny pics...I love them..
Lovely, looks really pretty with your springtime posy. Have a lovely weekend. More gorgeous flowers to feed my winter soul. 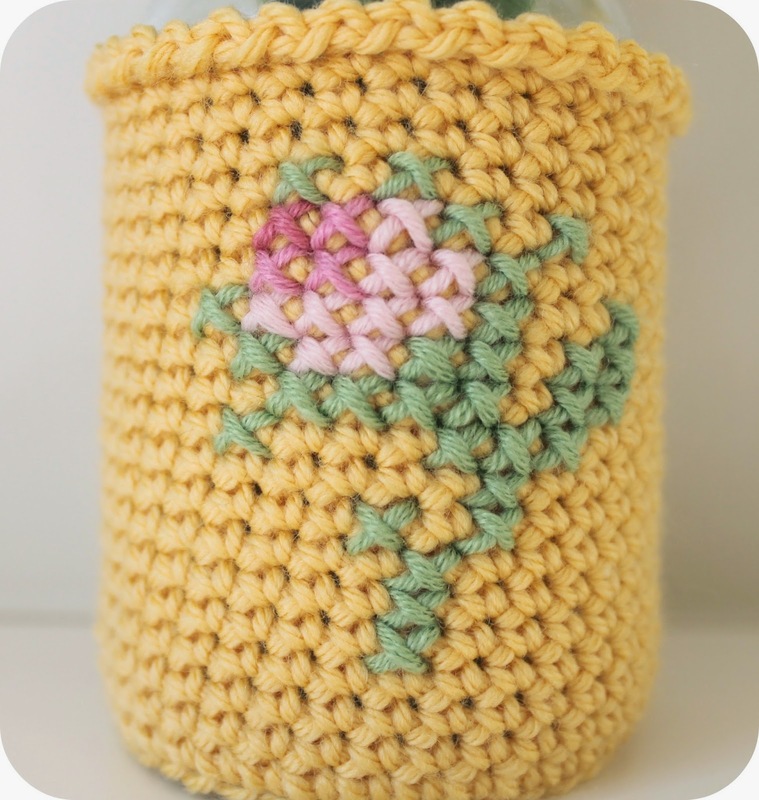 I LOVE the jar cosy, especially with the cross-stitch embroidery which makes it so charming! That looks fabulous. What a great idea. 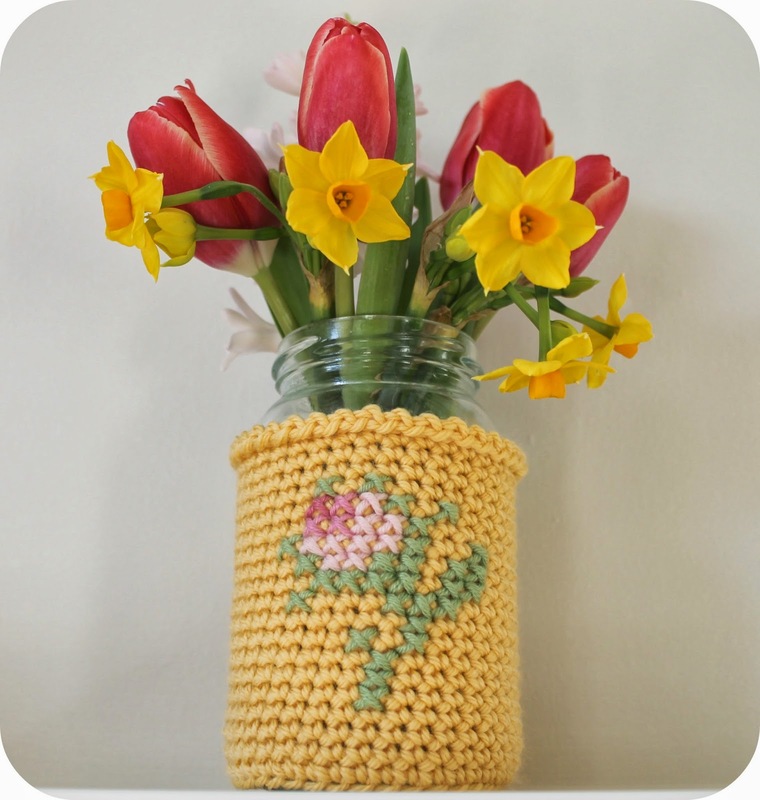 Just the most beautiful jar cosy!